OxyContin, in 80 mg pills, in a 2013 file image. Two bills under consideration by Pennsylvania legislators threaten to take the commonwealth backward on opioids. The first is an effort to limit already-scarce evidence-based treatment. The second limits physician discretion when prescribing opioids. If either bill becomes law, Pennsylvania will be worse off, not better. The first proposed bill is the Buprenorphine Medically Assisted Treatment Act sponsored by Senate Republicans. The bill adds further certification requirements to physicians who prescribe buprenorphine (commonly called by the brand name suboxone), including a fee that originally was set at $10,000 and was reduced to $500. "While $500 may not seem like a large sum, I assure you that it would be an impediment to physicians who want to practice in this area," read a statement by Brad Bachman of the American Society of Addiction Medicine in an email to members in Pennsylvania. Bachman called any further burden on treatment providers "incomprehensible." Using medication to treat opioid-use disorder is the gold standard of treatment. Multiple studies have shown that the use of buprenorphine or methadone to manage cravings dramatically reduces illicit drug use and retains people on treatment. Access to this evidence-based treatment is extremely limited and the need far exceeds the scarce supply of providers. One reason for the lack of access is regulation. Methadone can only be administered in federally certified clinics and buprenorphine can only be prescribed by providers who undergo a training and receive a special waiver. The waiver limits the number of patients to whom a provider can prescribe buprenorphine. Only 4 percent of physicians in the U.S. are waivered. The majority of these physicians are limited to treating 30 patients maximum and in reality most treat fewer or none. According to the Foundation for AIDS Research, currently six counties in Pennsylvania have no physician certified to prescribe buprenorphine and six others have only one. When a person in addiction decides that she or he is ready for treatment, as a society we must ensure that evidence-based treatment is readily available. The bill does exactly the opposite of that by creating another barrier. Why would anyone want to limit access to evidence-based treatment? Stigma and the incorrect belief that giving out buprenorphine is equivalent to flooding the streets with heroin. According to a memo written by Sen. Michele Brooks, who is the lead sponsor of the bill, buprenorphine has "become a drug that is abused, misused and is now out of control here in Pennsylvania." 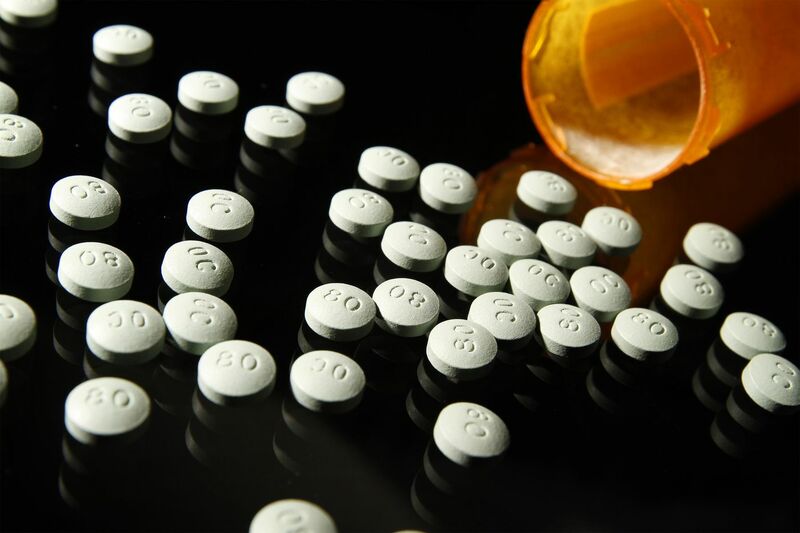 Pennsylvania does not screen for buprenorphine in toxicology reports; however, a spokesperson for the state Department of Health told me that the medication is "not a significant contributor to overdose deaths. While these do occur, it is rare." We can look at Allegheny County to try to learn how rare. In 2016, buprenorphine accounted for one overdose death out of 910. Data don't seem to support Sen. Brooks' claim. Following the same logic — of limiting the amount of available opioids of all kinds — the second bill under consideration would make opioid-prescribing guidelines mandatory. Like the buprenorphine act, the prescription guidelines act also reduces access to important care – pain treatment. Opioids have an important role in the treatment of pain. Research shows that the amount and duration of opioids needed for pain relief after a procedure varies dramatically between patients in unpredictable ways. The Pennsylvania Medical Society opposes this bill, stating in an email to members that "decisions on patient care should be made by individuals in consultation with their physicians, not by legislative mandates." Further, some physicians warn that by reducing the supply of provider-prescribed pills, people suffering from pain will be pushed to finding illicit alternatives. This bill passed the Senate and awaits a House vote. Multiple states responded to opioid-prescribing guidelines published by the Centers for Disease Control and Prevention (CDC) in March 2016 by legislating them into law, even though the guidelines were intended as "recommendations for primary care clinicians." Two years after the guidelines, 28 states have enacted explicit opioid prescription limits. In 2016, Pennsylvania enacted a seven-day limit for opioid prescriptions given out in the emergency room, urgent care, to patients in hospital observation or in any prescription for a minor. The new guidelines will cover many more settings and patients. There is a lot that Pennsylvania can do to fight the drug crisis. Proven solutions include opening syringe exchange programs and safe consumption facilities, increasing access to evidence-based treatment such as methadone and buprenorphine, and utilizing Medicaid to take on the epidemic. In the case of the bills currently proposed in our commonwealth's Senate, doing nothing will be better than doing something.